Stark. Haunting. Lyrical. Evocative. I hate to run out of adjectives at the beginning of the review, but this guy deserves the highest praise I can give. Really. Andrew Hendryx is a talented and dedicated young jazz player with a deft touch, a voice all his own, and a Steve Ryder EM-35 electric mandolin that sounds as smooth as a three-dollar cup of hot chocolate. If you went into a room full of mandolinists and dropped the names Don Stiernberg, Paul Glasse, Michael Lampert, or Don Julin, you might inspire a glimmer of recognition in at least one pair of eyes. Hendryx hasn't reached that level of recognition yet, but he certainly has the talent to get there. And he's doing it the hard way with gigs in New York clubs and coffeehouses. 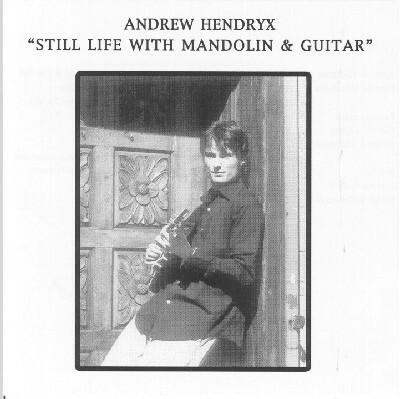 Hendryx has two self-produced discs to his credit: Still Life with Mandolin and Guitar and 13th St. Repose. The former contains eight duos with guitarists Benji Lysaght and Ben Lee; the latter is a trio EP with five cuts featuring bassist Masa Kamaguchi and drummer Max Wood. The material is mostly standards, juxtaposing the post-bebop of Mingus, Monk, and Miles with classics by the likes of Victor Young and Rodgers & Hart. (OK, there's one Hendryx original and a Lennon & McCartney tune as well.) Everything gets pretty much equal treatment, which is to say it's all rendered gorgeously in Hendryx's stately, shimmering, understated style. 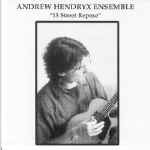 There are no breathless flurries of notes or screaming crescendos, but there is a heap of elegant, clean, tasteful, and perfectly timed playing from Hendryx and his cohorts. Still Life, as you might expect, has a slightly more intimate feel, but 13th Street is also restrained without being tedious. I particularly like what Hendryx does with "Nardis" and "I Could Write a Book," but the work here is so consistent that any cut could be a favorite. To find out how to obtain one of these fine recordings, send Andrew an and welcome him to the Emando fold. You'll be glad you did.